Packing List: Your Carry-on for New Zealand. Immigration, comfort, entertainment, airlines and length of your flight: these all determine what to pack in your carry-on for New Zealand. 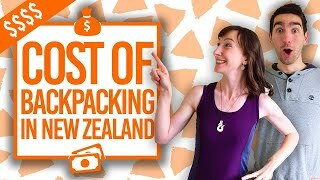 To make sure you have thought of everything, we have put together this guide of what to pack in your carry-on for a flight to New Zealand! Make sure that the airline accepts the size of your carry-on luggage by checking your airline’s specific dimension requirements. 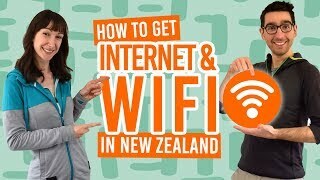 Because backpacking is all about making the most out of everything, you will also want to choose the right carry-on luggage that you will be able to use throughout your backpacking trip in New Zealand. 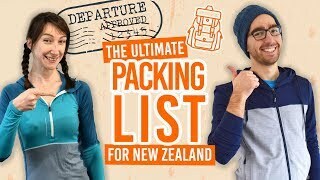 For a a full packing list including your check-in luggage, be sure to check out What to Pack for a Gap Year in New Zealand: Predeparture Checklist. What type of carry-on bag should you take to New Zealand? First things first, you need to choose a carry-on bag that you are likely to utilise while you are backpacking in New Zealand. 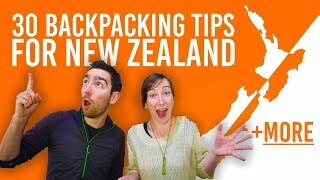 We recommend bringing a small to medium-sized backpack to use as your carry-on luggage, as well as a day pack for when you are out and about in New Zealand. Your backpack should be able to fit all the items that we suggest below. It should also be able to fit a couple of layers of clothing when you are using it as a day pack, as well as items like a water bottle, food container, phone, wallet, etc. On top of making sure your carry-on bag is a decent size for what you want to fit inside it, it also needs to adhere to the carry-on luggage dimensions of the airlines you are using to travel to and from New Zealand and even domestic flights in New Zealand, which you might end up using. Don’t forget your passport! 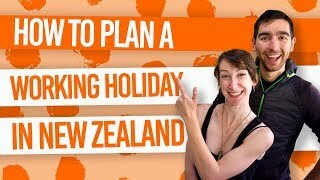 Ok, we didn’t really think you would forget your passport, but if you are travelling to New Zealand on a working holiday visa (or any visa for that matter) there are a few extra documents you should have prepared for when you arrive in New Zealand. It’s a no-brainer, but just in case, don’t forget your passport AND your flight ticket. Oh yeah, you should probably make sure that your passport is valid beyond the amount of time you plan to stay in New Zealand. You don’t want it expiring while you are in New Zealand. Finally, it’s handy to have another form of photographic ID other than your passport with you in your carry-on, just in case. And remember that there are only three valid forms of ID you can use in New Zealand to purchase alcohol, so you may want to bring some ID so that you can apply for an 18+ Card. Plus, your English-written driver license if you want to drive while you are in New Zealand. If your driving license is not in English you will need to get an International Driving Permit (IDP). As well as your preferred method of payment for your own country before you jet off to New Zealand, you will need some New Zealand dollars in cash for when you arrive in New Zealand. 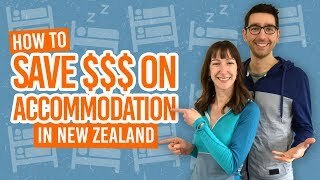 Have enough cash for the first two weeks of your stay, just in case you have issues opening your New Zealand bank account or accessing your money from New Zealand. This is always a complicated one with airlines. All airlines have restrictions of how much liquids, gels, aerosols and pastes you can pack into your carry-on. But this doesn’t mean you have to go without. In your carry-on, all liquids, gels, aerosols and pastes must be in individual containers no larger than 100ml in volume. All containers must then be packed into a transparent re-sealable bag no larger than 1 litre (that’s about 20cm x 20cm or 8 x 8 inches). Remember, you can pack your normal toiletries in your check-in luggage. It’s just your carry-on luggage which has restrictions. Because New Zealand is far away from anywhere, the flights and stopovers can be pretty tedious. To make it through take some form of entertainment or work with you to keep yourself busy and make the time seem like it’s passing quicker. You don’t need to go too crazy with the entertainment though, keeping in mind that most long-haul airlines have seats with their own individual entertainment units. Plus, you don’t want to go over the weight limit. For inspiration on what to take, check out How to Prepare for a Long Haul Flight. Remember, for any electronic items you bring, you will want to bring the appropriate charger as well as the adapter for the countries you are visiting along the way. There are many reasons why you should pack a couple of spare clothes in your carry-on, from the off-chance that your luggage is lost and you’re stuck with only your carry-on for a couple of days to the changing climates. Plus, you might want some extra layers for inside the plane cabin, which tend to have the air conditioning cranked up. Although most long-haul airlines provide pillows and blankets, nothing beats a travel pillow. So if you want this extra comfort and some chance of getting some sleep and beating the jet lag then pack yourself an inflatable travel pillow or one that clips onto the outside of your carry-on.